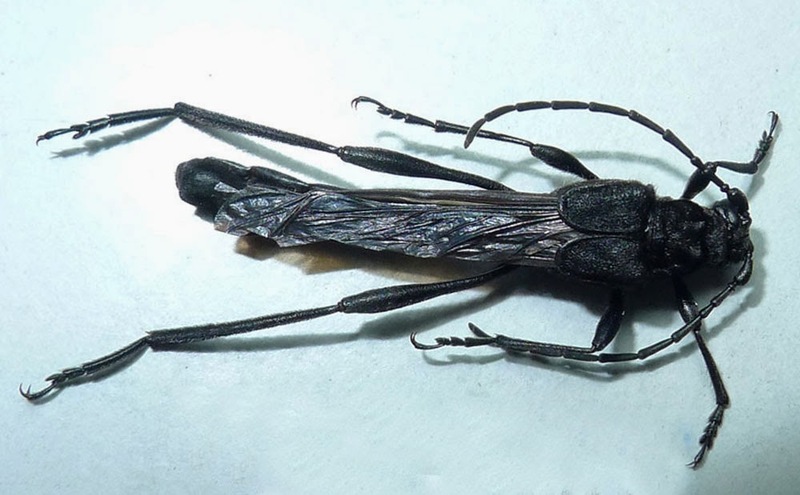 Necydalis is very interesting genus of long horn beetles (Cerambycidae), very diversity in Indochina area. They belong to Lepturinae subfamily, some authors arrange them as a distinguish subfamily, Necydalinae. They are tiny beetles with a short elytron and the hyaline hind wings appear clearly so they look like wasps. In nature, they are really perfect mimic beetles and under sun light, they look same to small wasps, not only the wings but also the abdomen. 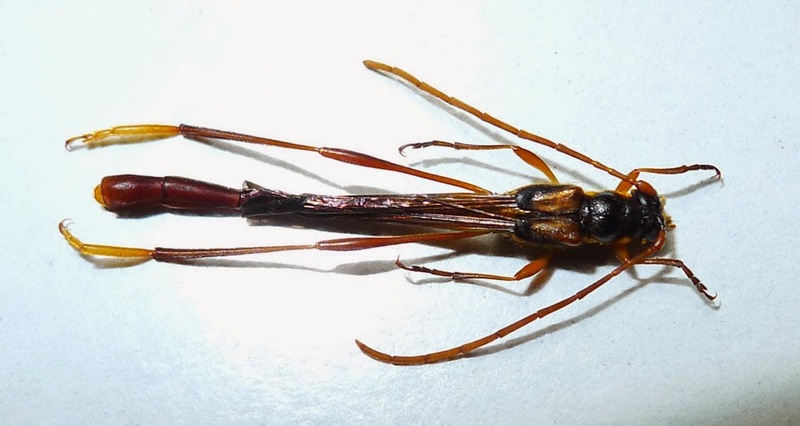 The reason for many kind of cerambicidae beetles "want to be" look like a wasp maybe because most of them are flower beetles, and wasp is a good subject around flower for mimicking, poisonous insects. So if you are not poisonous, you still can be an creature that look like poisonous, at least it helps you alive. They are day flying insects and the best method to collect them is summit collecting during sunny days. With a big insect net, waiting at the top of mountains, above of the canopy of the tropical forests, collectors can catch them as they fly up with the wind. Because of small size and fast flying, they are not easy to be catch, particularly in a shining sunny day, they seem are invisible insects flying with hyaline hind wings. Male of Necydalis alpinicola Nisanto et Ohbayashi 2003 (scan from the original description), this species found from Sa Pa, Lao Cai Province. 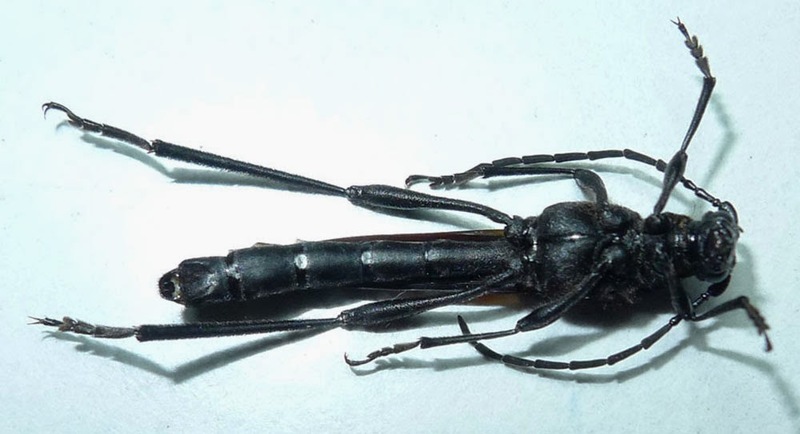 Necydalis concolor Niisato et Ohbayashi 2004 is stout species with black body in color, they found from Tam Dao National Park, North Vietnam. There are two subspecies of of N. shinborii, N. s. shinborri found from Tam Dao National Park and N. s. hainana found from Hainan, China as its name. 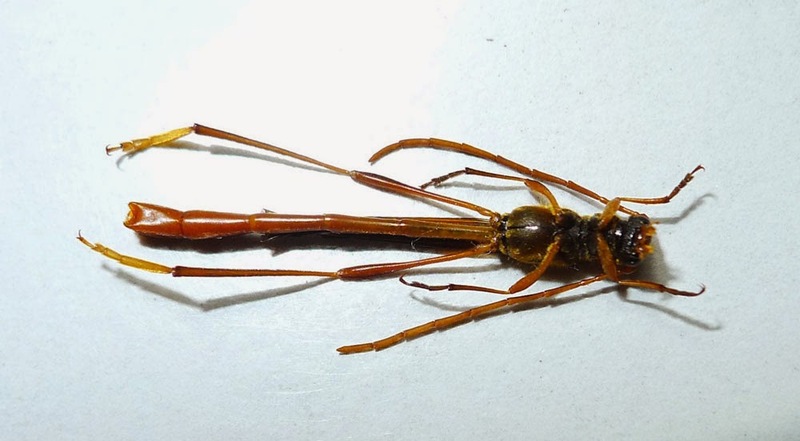 This species maybe new record for Vietnam fauna, it be found from Yen Bai this year (2014), it has been known as a Chinese species, beautiful and rare species.